Los Angeles, California--The 5th edition of the North Hollywood CineFest showcased 104 short films and 21 feature films from around the globe at the Laemmle NoHo 7 theater over seven days and in two auditoriums. In addition, 34 Los Angeles area high school short films played on the big screen over a three-day period. These high school films are a continuation of the City of Los Angeles Los Angeles Student Film Festival (LASFF) program that was launched nine years ago by Councilman Paul Krekorian and is now part of the North Hollywood CineFest. The festival opened with a robust red-carpet arrivals line, which featured the iconic Nichelle Nichols of Star Trek fame, who appeared to represent the opening night feature film she’s in called “The White Orchid”. Over the course of the event, CineFest welcomed nearly 1500 admissions into the theater and promoted to local businesses for the duration. New this year, the CineFest Awards Show took place at the El Portal theater on Friday, March 30th, 2018. The evening began with a series of three industry panels, produced by MixKnowledgy, which included professionals such as writer Kristen Layden and directors Steve Sprung and Peyman Benz. Following the panels, CineFest gave three special awards to start. An “Innovation & Inclusion Award” was presented to MinTIC Colombia for their program Cine Para Todos, a phone app that syncs to the movies in the theater and provides closed captioning for the hearing impaired and an audible description of action for the vision impaired. 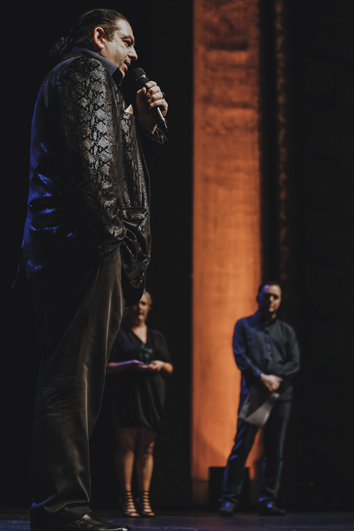 The “Visionary Artist Award” was presented to Siddhali Shree, director of Stopping Traffic, a heart-wrenching documentary about human trafficking. And finally, the “Humanitarian Award” was presented to leading computer scientist Walter O’Brien, CEO of Scorpion Computer Services and Executive Producer of CBS’s hit television show “Scorpion” for his donated time and expertise to advise, provide intelligence to, protect the identities of and execute antI-kidnapping and anti-human trafficking missions for over a decade. To conclude the evening, CineFest delivered three awards to LASFF films in the categories of Documentary, Animation and Live Action. Plus, another twelve awards in multiple categories to NoHo CineFest films, directors and cast. Councilman Krekorian spoke to the audience and reinforced his commitment to strengthening the film industry in Los Angeles and promoting young talent. 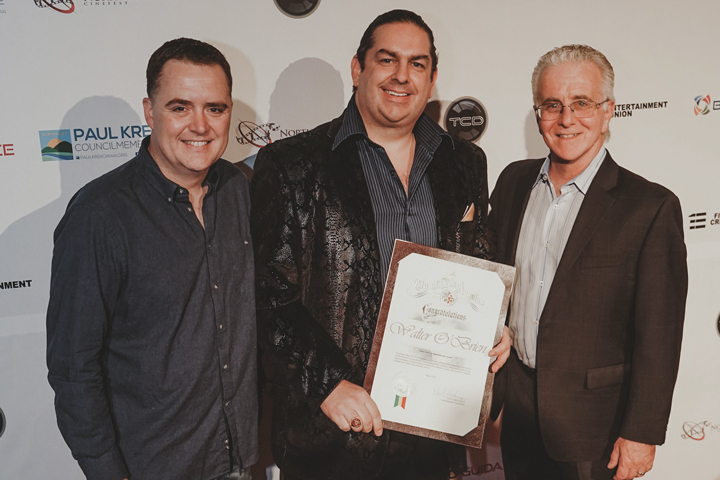 North Hollywood CineFest thanks its sponsors for making the event possible including Councilman Paul Krekorian, First Entertainment Credit Union, The Camera Division and BD Guidance.